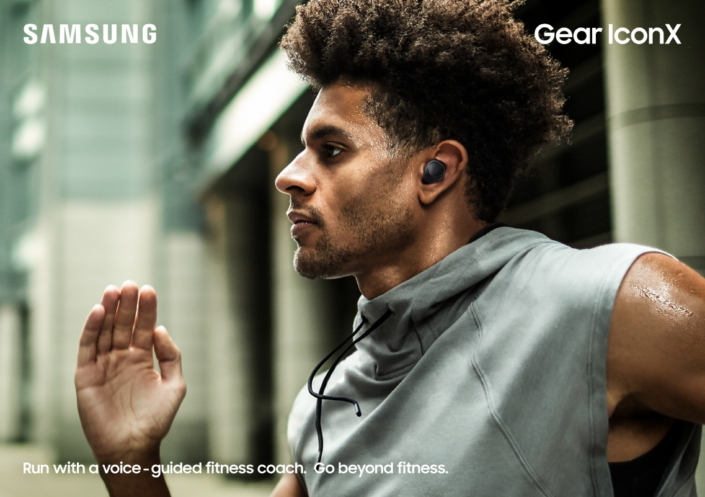 Samsung Electronics today introduced three new devices to its industry-leading wearable portfolio: Gear Sport, a sleek and versatile fitness-focused smartwatch that is water resistant; Gear Fit2 Pro, an upgraded GPS sports band with smart features; and Gear IconX, a second generation of the company’s groundbreaking cord-free earbuds. 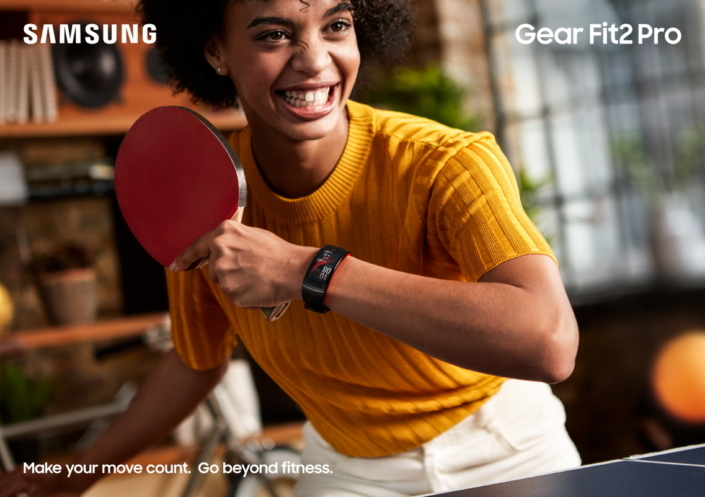 Samsung’s new Gear devices were designed to help consumers get the most out of their day, and help them live a healthy and well-balanced life. Premium Partnerships: Daily activity can be supplemented with updated Under Armour and Spotify partnerships. Both devices provide access to Under Armour’s fitness apps including Under Armour Record™, MyFitnessPal®, MapMyRun® and Endomondo™ for activity, nutrition, sleep and fitness tracking functions – these apps provide users with a holistic picture of their health and fitness. Spotify’s Offline mode lets you listen to your favorite music online, offline or even without your smartphone so you can enjoy your favorite tunes regardless of location. 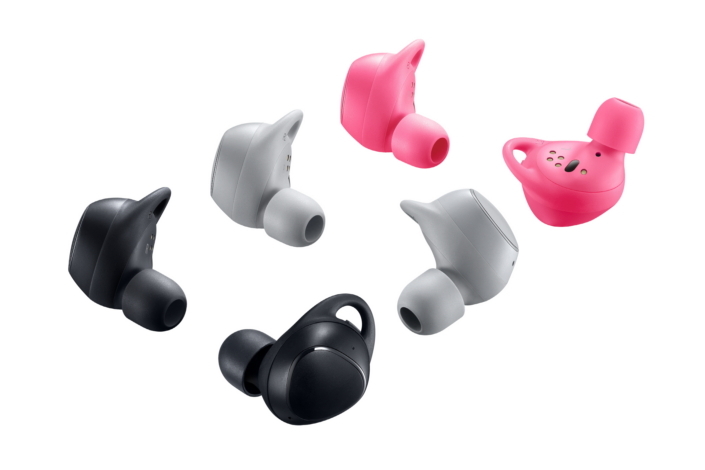 IconX cord-free earbuds let you effortlessly listen to your favorite music – making your daily commute more enjoyable and helping you get more from your workout. Music can be enjoyed on and offline by transferring songs from a Samsung smartphone5 or PC, or accessing your favorite tunes through Bluetooth connectivity. The earbuds are also your newest connection to Bixby.6 With a simple tap and hold of the earbud you can use your voice to control your music or your phone – without even having it in your hand. For more product information, please visit news.samsung.com/global or www.samsungmobilepress.com. 1Gear Sport and Gear Fit2 Pro have ISO 22810:2010 certification for wristwatches for 5 ATM rating of 50 meters (165 feet) under defined conditions of pressure, time, velocity and temperature. This means that both devices are safe to wear while walking in the rain or showering, and may be used for shallow-water activities like swimming in a pool or the ocean. 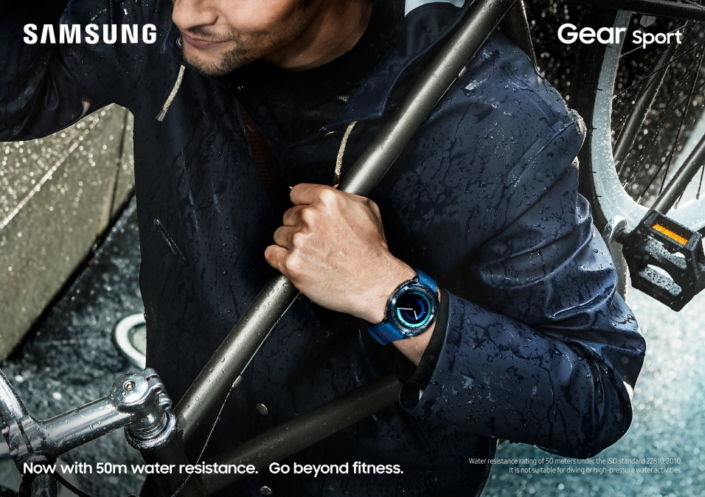 However, the Gear Sport and Gear Fit2 Pro should not be used for scuba diving, waterskiing, or other activities involving sudden temperature changes, high-velocity water activities or submersion below shallow depth. Rinse in fresh water and dry after use in sea water. 2UUnder Armour’s MapMyRun, Endomondo and Under Armour Record for Gear devices are not supported in Bahrain and Saudi Arabia. Under Armour’s MyFitness Pal for Gear devices is not supported in Bahrain, Saudi Arabia and Kuwait. 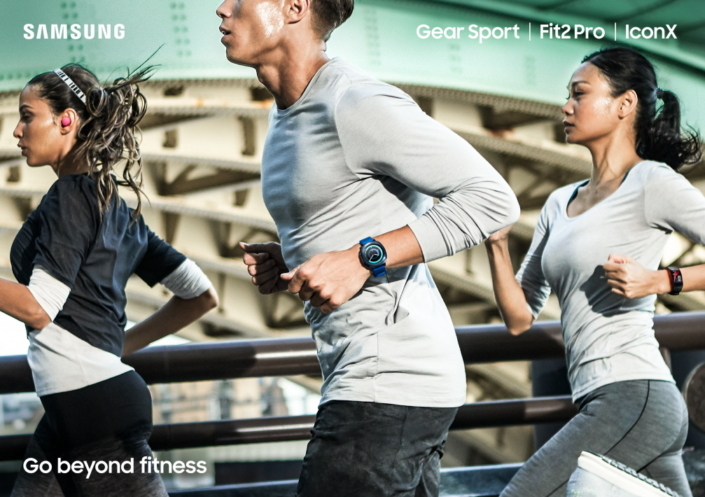 3 Gear Sport and Gear Fit2 Pro are MIL-STD-810G certified. 4NFC support only. Service availability may vary by country. 5The Gear IconX is compatible with devices running Android 4.4 and above. 6Limited to Samsung devices with Bixby voice capabilities including Galaxy Note8, Galaxy S8 and Galaxy S8+. 7The Gear IconX voice guide supports nine languages including U.S. English, Chinese Mandarin, Spanish, German, French, Korean, Italian, Russian and Japanese.